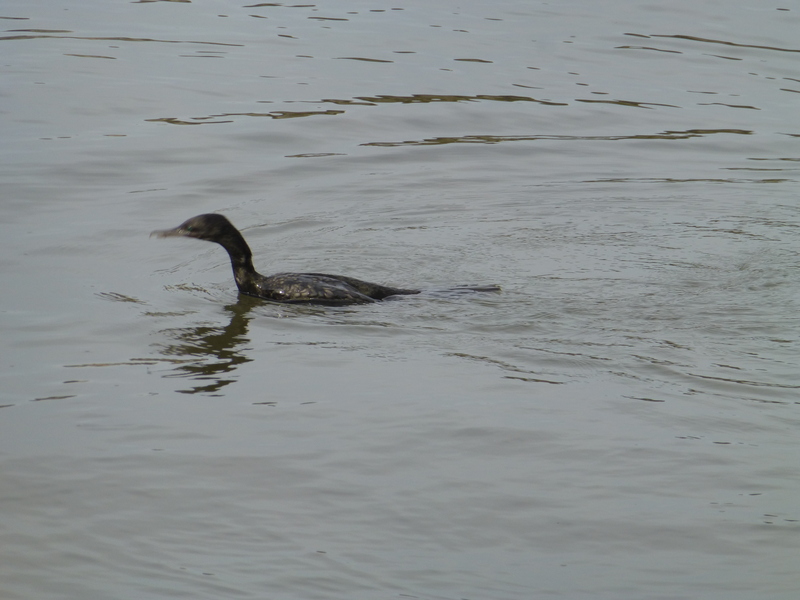 Despite preferring fresh water, Little Black Cormorants frequently visit our local, salt-water, river baths. These birds are small, black and glossy: their bill is thin and hooked. Here’s a photo of one in the baths. 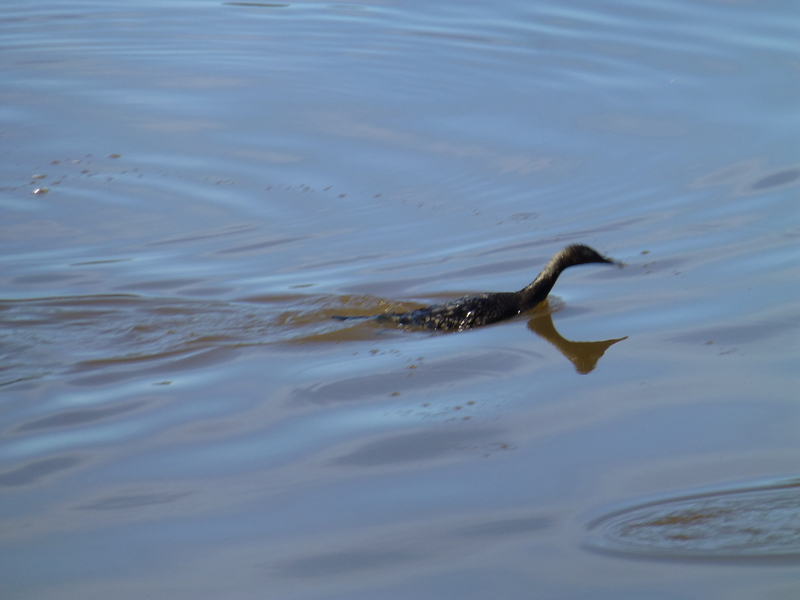 Little Black Cormorants are quite amazing waterbirds. Their speed and agility is breathtaking. They fly well, but their awe-inspiring skill is in diving. We often watch them duck under, seemingly without effort, and then emerge sometime later, many metres away. These are not solo birds — I see them always in flocks, sometimes of many dozens, other times just three or four. 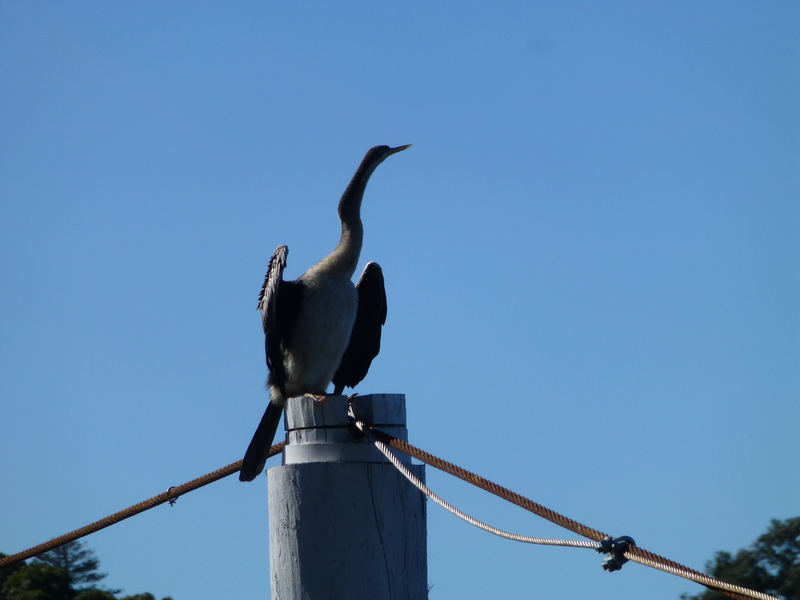 The bird in this photo looks large, but according to my references it is a Little Pied Cormorant. Well, it’s certainly pied, and it’s a Cormorant. But, little? If experts are to be believed, the Little Pied Cormorants and Little Black Cormorants are the only representatives of their species that inhabit the local river and wetlands. Whatever its name, it’s still an elegant and eye-catching addition to the local scene.